Complex, delicate, incredibly diverse, and stunningly beautiful, orchids are often considered to be the crowning achievement for the home grower – the epitome of mastery over the plant kingdom. Comprised of the largest group of flowering plants, to date the Orchidaceae family includes over 30,000 different native species and 200,000 hybrids. With the exception of Antarctica, they are found on every single continent on the planet, thriving everywhere between the Arctic Circle and Patagonia for at least 100 million years. Orchids are able to survive equally well in tropics or tundra because of their unique ability to adapt to their environment. 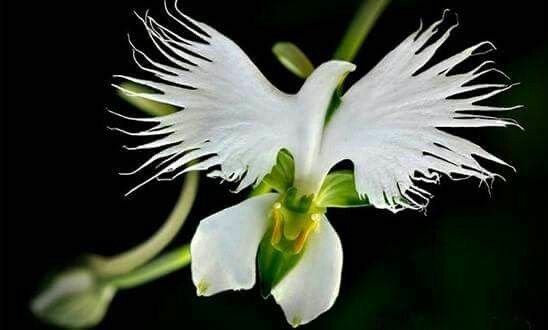 With flowers that have evolved to attract pollinators and defend against predators, some species of orchids have blooms that resemble animals – like the bee orchid (Ophrys apifera), monkey orchid (Dracula simia), flying duck orchid (Caleana major), white egret orchid (Pecteilis radiata), and the dove orchid (Peristeria elata). 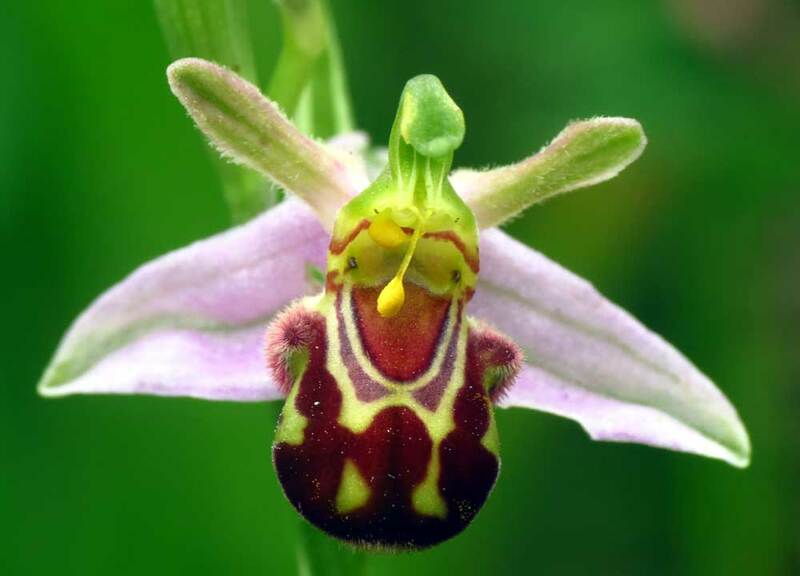 Relying solely on pollinators to accomplish fertilization, the down side to being so highly specialized means that if the pollinator goes extinct, so does the species of orchid. While orchids do have a reputation for being extraordinarily difficult to cultivate (and indeed, some species are near impossible to grow), there are many varieties that positively flourish in a home environment. Spanning more than 60 species, the genus Phalaenopsis has been a favorite among home cultivators since the 1850s due to its hardy, non-fussy nature. With long-lasting flowers that stay in bloom for two months or more, moth orchids are available in a broad spectrum of shapes and colors, the most common varieties featuring blossoms in shades of white, pink, or purple. Given its name because its expansive petals look like a moth in flight, moth orchids are monopodial, single stemmed plants with alternating elliptical leaves. Most are shade-loving epiphytes, growing on rocks or trees in their native tropical habitats. Light Requirements – Moth orchids like the bright, indirect light of an east-facing window. They may also be placed at a window facing south or west but should be screened with sheer curtains or shade cloth. Moth orchids given too much light will look weak, sun burned, and yellowed; too little light and moth orchids will not rebloom. Temperature Ranges – Since the moth orchid is a tropical plant, it is accustomed to warm, uniform temperatures. It’s best to keep them around 80?F during the day and 65?F at night. Growing Medium – Phalaenopsis are air plants that typically grow on the branches of trees, drawing moisture from the bark after rainfall and morning dew. For home growers, the ideal growing medium are organic materials that won’t absorb much moisture, such as fir bark, sphagnum peat, tree fern, coconut husk chips, charcoal, sphagnum moss, perlite, or a combination of these mediums. Watering – Moth orchids should be kept moist but not wet. Do not allow the orchids to completely dry out between waterings. When the potting mix is dry to the touch, water these orchids thoroughly, allowing water to freely drain from the pot to prevent the roots from becoming waterlogged. Fertilizer – Regularly feeding your moth orchid is essential since the recommended growing media contain very little nutrients. Use a 30-10-10 fertilizer diluted at half-strength once a month, and during the blossoming season, fertilize more often. Also, be sure to feed with an all-purpose plant food every three months so the orchids will receive trace elements and micronutrients. Flowering – Generally, moth orchids bloom between late summer to spring, and so a 10?F drop in temperature may encourage them to flower. Once the flowers fade, snip just above the second node beneath the flowers. Repotting – When moth orchid’s roots begin to emerge outside of the pot, or become root bound, or the potting mix has deteriorated, it’s time to repot your plant. Carefully remove the plant from the pot, gently untangling the root ball from the growing medium. The roots should be white and firm; if roots are brown, shrivelled, or hollow, cut them back with sterile scissors. Transfer the plant to a container slightly larger than the one used previously and cover with a fresh potting mix. Don’t bury the upper roots completely, as they benefit from growing in air. 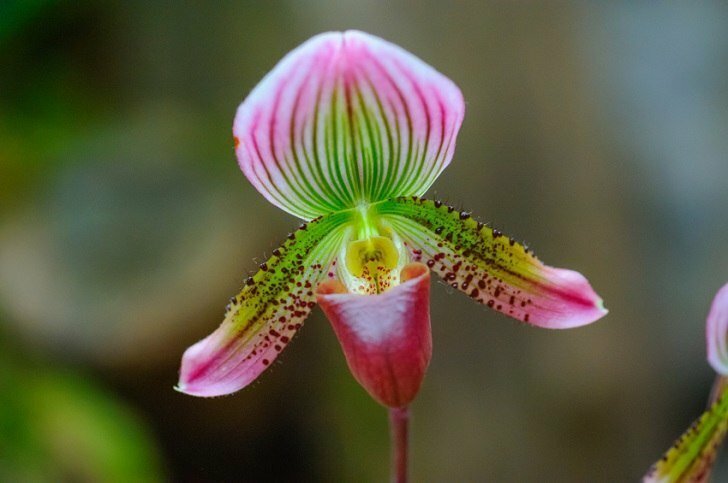 Prized for their unusual flowers, there are more than 50 varying species of Paphiopedilum but they all share in common a slipper-like pouch which serves to trap insects and facilitate pollination. Found throughout Southeast Asia, slipper orchids come in many different sizes and colors and may be single flowered, sequential flowered, or multi-flowered. With blossoms that endure for three months or more, when out of bloom these plants make a lovely addition to the home because many varieties have attractive mottled foliage. Light Requirements – As terrestrial plants that grow on the forest floor, slipper orchids do well in filtered sunshine. During summer, place these lovelies in a spot with indirect light. In winter, when days are shorter, give them full, unshaded light. Temperature Ranges – There are both warm and cool growing species of slipper orchid. The mottled-leaf types hail from temperate zones and so need a daytime temperature of 68?F to 86?F and a nighttime temperature of 65?F. Solid green leaf varieties come from higher altitudes and require 50?F to 77?F during the day and 50?F to 55?F at night. Growing Medium – Use medium grade bark with slipper orchids. You can also optionally add in some moss, peat, perlite, worm castings, and coconut husks. Watering – With no pseudobulbs that hold water, Paphiopedilum needs frequent watering and should be kept moist – but not soggy – at all times. Depending on the pot size and the growing medium, slipper orchids should be watered every three to ten days. Fertilizer – Use a NPK balanced fertilizer, such as 20-20-20, at ¼ strength each time you water. Once a month, flush with clean water to remove accumulated salts. Flowering – The slipper orchid’s flowering season begins in mid-autumn. Flowers will not rebloom on the same stem so once the blossoms fade, cut the stalk back to the base of the plant. With huge blooms that come in every color of the rainbow except true blue, Cattleya (pronounced KAT-lee-ah) is found throughout Central and South America. The Cattleya orchid’s most prominent feature is a frilly trumpet-like column which extends from its center. Named after horticulturist William Cattley, who was the first to bring one to flower in 1824, Cattleya was once dubbed the “queen of the orchids” due to its enduring popularity. Nowadays that noble title belongs to Grammatophyllum speciosum, believed to be the largest orchid in the world. Light Requirements – These plants prefer bright light in the mornings and shaded sun by midday. Temperature Ranges – Although Cattleyas can tolerate a lot of light, keeping their leaves cool is necessary for mimicking their high-altitude, but tropical, natural environment. Good air movement and high humidity can help prevent them from overheating while they bask in the sunshine. In summer, temperature should be in the 65?F to 85?F range during the day, 60?F to 65?F at night; in winter, daytime temperature between 60?F to 70?F and a nighttime minimum of 55?F. Growing Medium – Cattelya are epiphytic and may be grown in chopped fir bark, coconut husk chips, gravel, lava rock, tree fern fiber, and sphagnum moss. Watering – Over- and under watering Cattleya can spell a quick demise so it’s important to only water when the growing medium is dry. Place the pot in your sink and slowly flush with water until it is thoroughly wetted, allowing it to freely drain. Fertilizer – Used a balanced fertilizer, such as 10-10-10, on Cattleya at half strength every other time you water during the summer and once a month during winter. Flowering – Blooming in the spring and fall, Cattleya flowers can last for up to a month. Once the flowers drop and the stem begins to yellow, cut the stem back to just above the leaf. Featuring a gorgeous spray of 15 or more flowers on each spike when in bloom, Cymbidium are native to the cooler mountainous regions of Asia and Australia. These orchids are available in hues of white, green, yellow, brown, pink, red, and orange. Their name is derived from the Latin word cymba, which means boat, because of the hollowed curve of the floral lip. Light Requirements – Cymbidium likes it bright but cool, so keeping this plant happy requires a balance between light and temperature. In northern areas, you may place Cymbidium in full sun; in southern regions, give it filtered light. Temperature Ranges – While Cymbidium can tolerate some heat during the day, in order to flower it will need chillier evening temperatures. During the day, 75?F to 85?F is fine as long as it cools to 50?F to 60?F at night. Growing Medium – A good mix for Cymbidium is two parts medium-grade fir bark, two parts peat moss, and one part sand or perlite. Watering – During the growth season of spring and summer, water these plants well. In winter, they require much less watering and should be kept barely moist during their dormant period. Fertilizer – Use a high nitrogen fertilizer (like 30-10-10) at full strength every week or two in spring and summer, switching to a high phosphorous fertilizer (like 10-30-20) in late summer to induce flowering. In winter, use a NPK balanced fertilizer and feed once per month. Flowering – When Cymbidium has finished flowering, cut the spikes off at the base of the plant. Meaning “life in a tree” in Greek, Dendrobium are the largest and most diverse class of orchids, numbering some 1,200 species and counting. Found in swamps, deserts, mountains, and tropics, these exotic beauties have cane-like stems, and, depending on the species, may bloom a single flower or as many as 100 per stem. Dendrobium has been divided into two groups: the nobile type which drops its leaves in winter and the Phalaenopsis type which is evergreen and resembles the moth orchid. Because it is a little easier to cultivate, we will focus on caring for Dendrobium-Phalaenopsis. Light Requirements – Den-Phal needs abundant indirect light. Try placing this plant in an east-facing window or a slightly shaded south-facing window. Temperature Ranges – The ideal daytime range is 65?F to 75?F and 55?F to 60?F at night. Growing Medium – Den-Phals like to sit snugly in pots that are barely large enough to contain their roots, so keep this in mind when it’s time to repot. Use a medium-grade fir bark with add-ins like lava rock, charcoal, or perlite. Watering – With needs similar to Cattleya orchids, Den-Phal should be almost dry before it’s watered. Using tepid water, place the plant in the sink and gently flush with water for about a minute and allow the pot to drain completely. Fertilizer – Use a NPK balanced fertilizer each week at ¼ strength. Flowering – Lasting up to three months, Den-Phal orchids typically have five to 20 flowers on each cane when in bloom. When the flowers fade, cut the blossom stem where it meets the cane. While orchids may need a little extra TLC than the common houseplant, if you can successfully grow roses or vegetables in your garden, you can most definitely succeed at growing orchids on a windowsill. Be warned, though, cultivating orchids can be quite addictive and you may find yourself collecting an array of these enchanting plants! Many types of orchids love high humidity. In lieu of a humidifier, you can make a humidity tray by placing a saucer filled with gravel or pebbles and water beneath the pot. The water will evaporate and raise the ambient humidity level. Try to water your orchids in the morning to ensure the plant has time to dry before nightfall. Avoid getting the leaves and foliage wet when you water. Plan to repot your orchid every year or two. If your orchid doesn’t rebloom, it’s probably not getting enough light. Generally, when the leaves are light to medium green, the orchid is receiving a good amount of sun. During the warmer months, orchids can take the heat as long as you provide them with good air circulation and ventilation. Want to try propagating your orchids? You can read about four techniques to do so here. In addition to their ornate qualities, orchids have been used medicinally for at least 3,000 years. Here is a detailed review of orchids and their therapeutic properties.